As 2015 comes to a close, the Equal Justice Center is actively pushing forward in three different ways to help implement President Obama’s ground-breaking executive immigration programs. First, the EJC continues helping undocumented young immigrants secure protection from deportation and authorization to work legally under the President’s 2012 executive program of Deferred Action for Childhood Arrivals (DACA). 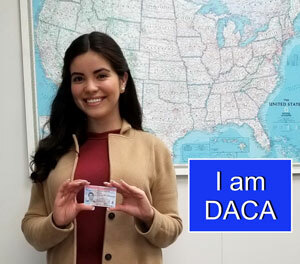 The DACA program provides legal protections for young undocumented students and graduates who were brought to the U.S. as children and who have grown up in the U.S. as members of our communities. Under the DACA program these students and graduates (often referred to as “Dreamers”) can qualify for renewable lawful permission to remain in the U.S., can complete their educations, and can secure work permits to legally seek and obtain employment that puts their education and talents to work for the benefit of their families and communities. The EJC was among the first organizations in Texas to systematically implement legal representation and community legal clinics across Texas to inform Dreamers and their families about their rights under the DACA program and to provide the legal assistance to enable them to secure DACA certification. From the summer of 2012 to the present the EJC has provided DACA legal representation, outreach, and education across a vast area comprising more than 120 counties from East Texas to West Texas and from South to Central to North Texas. As of December 2015, the EJC has directly helped well over a thousand young immigrants to obtain life-changing DACA certifications. Many thousands more have been the beneficiaries of the mass-scale community outreach and education programs which have empowered them to go on to obtain DACA certification on their own or through other service organizations. EJC’s DACA legal assistance and community legal clinics are ongoing and will continue at a prolific pace in 2016. The EJC is also working to implement the President’s executive immigration reforms in a second way. In November 2014, President Obama announced a plan to expand the DACA program to make additional undocumented students and graduates eligible and to establish a new program called Deferred Action for Parents of Americans (DAPA) which would extend similar protections to undocumented parents of children who are U.S. citizens or lawful permanent residents. Before these new programs could take effect, 26 Republican governors filed suit to stop them and a conservative federal trial judge in Brownsville, upheld by a sharply divided Court of Appeals panel have, at least temporarily, blocked the DAPA and expanded-DACA programs. (In the meantime, the original DACA program that began in 2012 is continuing unaffected by the lawsuit and injunction.) The Court of Appeals’ decision enjoining DAPA and expanded-DACA is now being appealed to the U.S. Supreme Court which might very well hear and decide the case in the first half of 2016. The Equal Justice Center has joined more than 200 immigrant rights, labor, and community organizations in filing a “friend-of-the-Court” brief to the Supreme Court urging them to overturn the lower court decisions and allow the DAPA and expanded-DACA programs to go forward. EJC continues to educate immigrant communities and the public at large about this meaning and progress of this landmark legal struggle and to rally public support for a ruling that will unlock these desperately needed reforms. This in turn points to the third way in which the Equal Justice Center is preparing for implementation of the President’s executive immigration reforms. Whenever these executive immigration reforms programs do go into effect – either through a Supreme Court ruling or through executive or legislative developments following the 2016 election – immigrant communities throughout Texas and the nation will suddenly have an unprecedented and critical need for skilled legal assistance and legal rights information. The DAPA program alone would make around three quarters of a million undocumented Texans eligible for long sought work permits and protections from deportation. The Equal Justice Center is not waiting, but rather is preparing now to meet this massive coming challenge. EJC attorneys and staff are working now with immigrant communities and community-based organizations across Texas to build the legal knowledge base, the legal services systems, and social and legal infrastructure that will enable to Texans to address the coming wave of challenge and opportunity as we finally welcome hundreds of thousands of hard-working immigrant community members into the acknowledged mainstream of our economic and community life. The Equal Justice Center continues to empower immigrant and low-wage working people to enforce their fundamental employment rights - even in this era when the rights of immigrants and workers are under widespread attack. Our clients' determined action, backed by EJC's legal representation, have recouped nearly $1 million in wage cases in the last year alone. These wage recoveries have come in cases brought by landscapers, restaurant workers, construction laborers, asbestos removal workers, agricultural and food processing workers, and cleaning service workers, among others. Their claims typically challenge employers’ complete non-payment of any wages; failure to pay workers for all of their work hours; or violations of laws requiring payment of minimum wage, overtime, or prevailing wage laws. The EJC clients who have brought and won these cases include U.S. citizens, authorized immigrants, and undocumented immigrants. 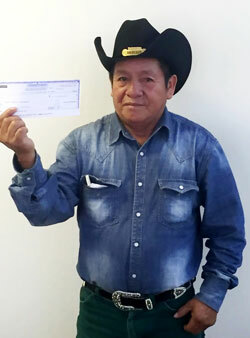 EJC provides legal assistance to working people regardless of their immigration status. The Equal Justice Center is taking vigorous action in two separate but parallel campaigns to provide greater protections for vulnerable immigrants in Texas. First, even while the current Administration is pressing hard to close down the DACA program, the Equal Justice Center staff is working overtime to help as many young undocumented Dreamers as possible renew their DACA work permits and protections against deportation. Over the last six years the EJC has helped secure DACA protections for more than three thousand young undocumented Dreamers who have grown up in the U.S., completed their educations, and are now productive contributors to our society and economy. The only thing blocking the current Administration's attempts to terminate the DACA program are a few temporary injunctions issued by federal courts, allowing current DACA holders to continue renewing their two-year permits - for now. The EJC staff provides both individual legal assistance and large-scale community clinics that help Dreamers renew their DACA authorization and sustain their dreams, while pushing at the same time for a permanent solution through Congressional enactment of a Dream Act recognizing Dreamers as full and permanent contributors to our society. In a second and equally important ongoing campaign, the EJC staff has been conducting large day-long legal clinics to help eligible immigrants successfully apply to become naturalized U.S. citizens. Reacting in part to the current climate of anti-immigrant policies and discrimination, a growing number of lawful permanent resident immigrants are seeking to apply for full citizenship. By becoming citizens they not only gain greater legal security for themselves and their families, they also gain the right to vote and, thereby, a stronger voice in shaping the policies that vitally affect them and their communities. Over the last year, and continuing on into the coming year, the EJC is organizing and conducting dozens of large-scale citizenship clinics where upwards of 50 immigrants in a day are able to get free professional legal assistance completing their citizenship applications. EJC typically conducts these citizenship clinics at schools, churches, union halls, or community organizations, drawing on the legal expertise and organizing skill of EJC staff combined with volunteer participation from pro bono attorneys, law students, and community volunteers.